Lava lamps are mesmerizing for kids and adults. 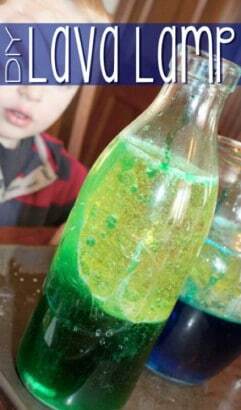 We found a great lava lamp science project for kids over at Hands On As We Grow. The recipe for making these lava lamps is really quite easy using only four ingredients and a container for each color. Young kids will have fun creating the bubbles and watching the liquid shift.